We&apos;re coming up on the one year anniversary of Chester Bennington&apos;s death (he died on July 20, 2017), and The Veer Union are paying tribute to the late Linkin Park vocalist with an acoustic cover of "Numb" from their upcoming Decade 2: Rock and Acoustic. Watch their musical tribute in the video above, exclusively premiering here at Loudwire. Singer Crispin Earl tells us, “I decided to do this cover not only because everyone in The Veer Union are huge fans of Linkin Park and wanted to honor Chester Bennington and his immense contribution to the world with his voice and music, but on a personal level I have also struggled with depression which I have written about and spoken openly about for years. The song &apos;Numb&apos; has always spoken to me on very personal level and all I can hope is that we did some justice to it to pay homage to Chester Bennington. It was a tremendous loss, and he will live in our hearts and souls forever." The cover itself is now available to download via iTunes. Meanwhile, the Decade 2: Rock and Acoustic disc is on track for an Aug. 31 release, revisiting many of their best songs in both electric and acoustic renditions. You can pre-order that release here. 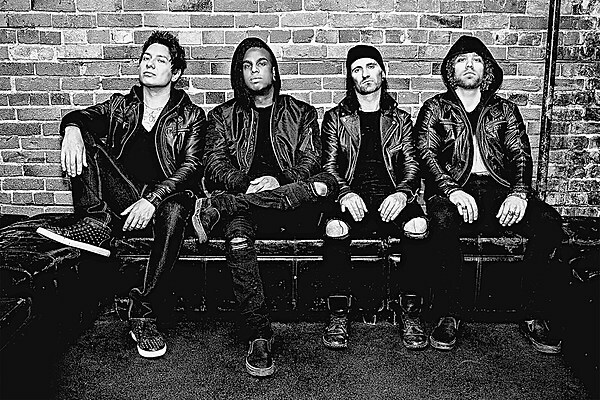 The Veer Union will hit the road in late August, just ahead of the new album release, sharing stages with Puddle of Mudd, Saliva, Tantric and Shallow Side. Dates for the run can be viewed below. You can also keep up with the band&apos;s activities via their website, Facebook, Twitter and Instagram accounts.